SINGAPORE - Fifty companies that failed to give Singaporeans fair consideration when hiring have been taken to task, said Manpower Minister Lim Swee Say on Monday (March 6). 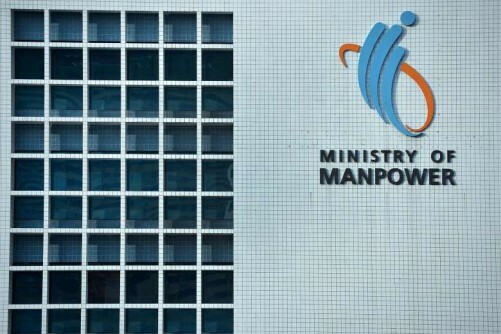 More than 500 Employment Pass applications from these employers have been rejected by the Manpower Ministry (MOM) or withdrawn by the companies, he said during the debate on his ministry's budget. These companies are among the uncooperative firms on the Fair Consideration Framework Watchlist, which was started last year to keep track of firms not doing enough to hire and groom Singaporeans. "We will continue to curtail their work pass privileges until they improve," said Mr Lim. "The (watchlist) is a negative measure taken against 'unfair' employers, who are just a small minority of firms." At the end of February this year, there were 250 companies - in industries ranging from information and communication technology to professional services - on the watchlist, up from 100 at the start. The Tripartite Alliance for Fair Employment Practices guides those on the watchlist to improve their employment practices over a period of six months. Some have responded positively, stepping up the recruitment and grooming of local talent, said Mr Lim. Collectively, these firms have hired 800 more Singaporean professionals, managers and executives since being placed on the watchlist. Those that continue to improve can be progressively removed from the list, he added. "I want to emphasise that a vast majority of the employers are treating our locals fairly. We hope our action against these unfair employers will help reshape the local-foreign mindset for the better." Mr Lim also shared plans to develop more progressive employers in Singapore. The Human Capital Partnership programme, which aims to grow a community of exemplary employers focused on staying competitive by investing in staff development, was launched earlier this month with 74 employers, who employ about 100,000 Singaporeans across a range of industries. They all share three commitments, noted Mr Lim: strengthening the Singaporean core, boosting complementarity between local and foreign employees, and strengthening the transfer of know-how to groom promising local executives into regional and global executives. MOM will now treat companies differently based on their employment practices, he said. Human Capital Partnership partners will be given "fast lane" access to development schemes and services, such as SkillsFuture, and will have hotline access to MOM, while the majority who are fair employers will be in the "normal lane". Those on the Fair Consideration Framework watchlist that engage in unfair HR practices will be in the slow lane. While foreign manpower "is and will always be an integral part" of Singapore's workforce, employers have to give fair consideration to recruiting and developing local manpower, he said. "This is not only the right thing to do for our people, but also the right thing to do for businesses for both to grow better in the future economy." Foreigners make up one-third of the workforce today, said Mr Lim, and this ratio will persist because Singapore can never be self-sufficient in terms of having enough local workers, both in the number, and diversity of expertise. There are about 1.2 million foreign workers , excluding foreign domestic workers, he said, as he detailed the make-up of the Singapore workforce. About 40 per cent of these foreign workers take on labour-intensive jobs few locals want, in sectors such as construction. And while about 45 per cent of them do jobs that locals will opt for, "we do not have enough locals to do these jobs", he said, citing the shortage of Singaporean integrated circuit design engineers. The remaining 15 per cent of foreigners working here are in global headquarters, he said. And this is a boon for Singaporeans: there are about seven locals for every three foreigners in this segment of the workforce. This gives Singaporeans more opportunities to be exposed to new job functions, an international working environment and global best practices, said Mr Lim. "On the whole, most of the foreigners working in Singapore do complement our local workforce rather than substitute our locals," he said, adding that the persistent view that "foreigners are here to take away our jobs" is due to employers in some segments not giving fair consideration to the recruitment and development of local manpower.